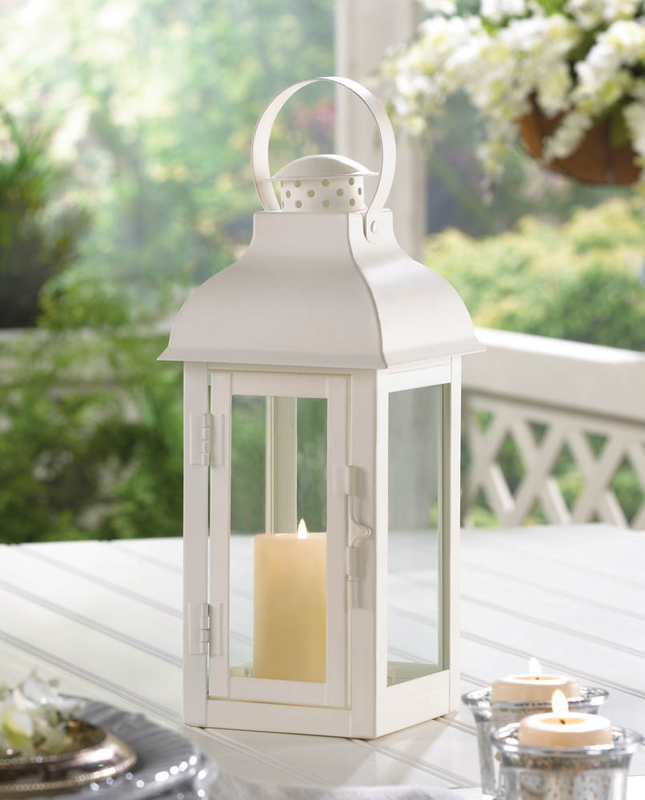 With elegant simplicity, this metal candle lantern strikes the right chord to create a sophisticated and welcoming atmosphere. 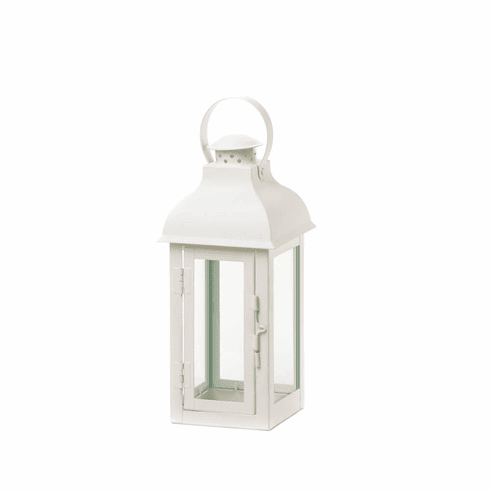 The metal framework features soft white paint and a domed roof with a wide loop at top. Clear glass panels let the light of your favorite candle shine through. Item weight: 1.8 lbs. 4¾" x 4¾" x 12¾" high. Iron and glass. Candle not included. UPC: 849179018733. Some Assembly Required.